Enjoy one level living less than a mile to downtown Weaverville or Lake Louise. 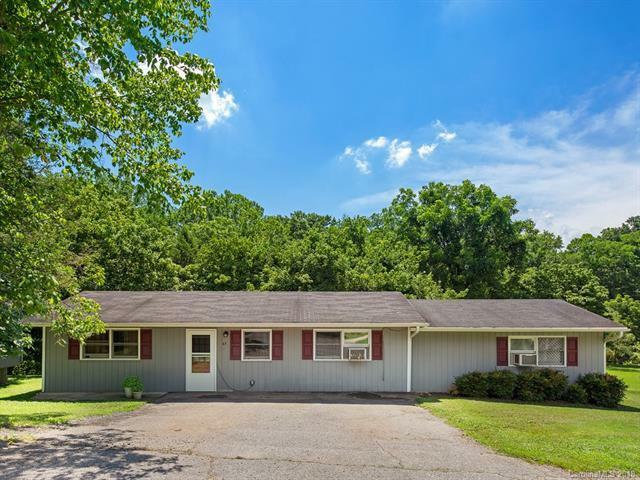 Tucked in a wooded area, this 2 bedroom, 2 bath home features an open floor plan. Relax on the nice sized deck overlooking Reems Creek. Nice level yard with plenty of room for gardening, pets and play. Tile counters and breakfast bar in the kitchen. Large master suite with walk in closet. New appliances and master bedroom carpet in 2017. 12 x 20 shed for storage. Shared driveway. Home Warranty included.